You are invited to come “paint” with wool and create some beautiful landscape art. 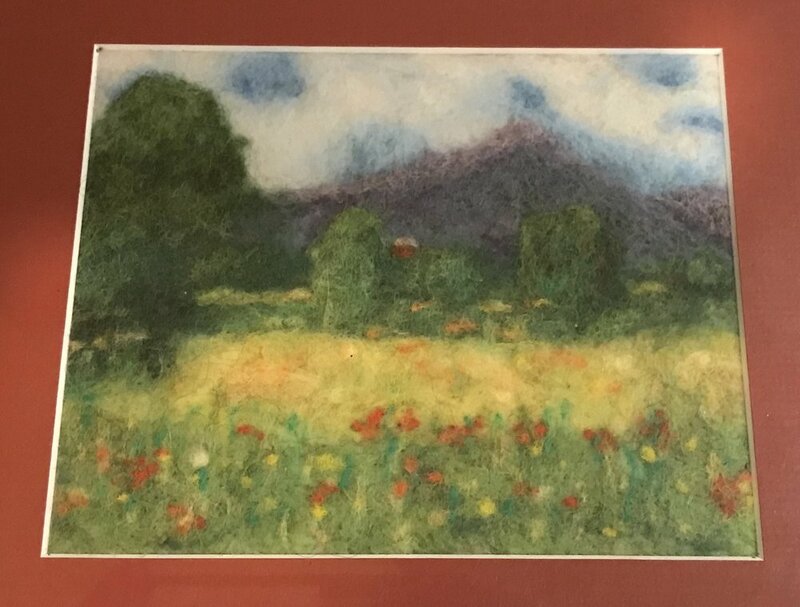 Working from a scenic photograph as a reference, participants in this class will learn to use wool roving as if it were paint, and manipulate a special barbed needle to create a small felted landscape. Participants may bring a landscape photograph as inspiration or use one provided by the instructor. This class is perfect for both beginners and more experienced felters. This workshops is part of our Women’s Craft n’ Connect series held on the second Monday of each month. Teen girls are also welcome to attend. $30; all supplies provided.